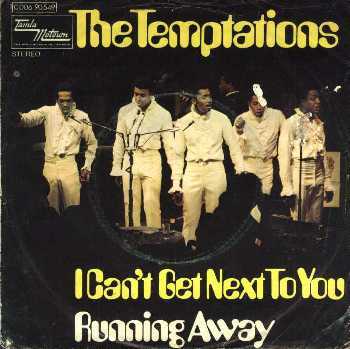 Surprisingly, “I Can’t Get Next To You” was the first Temptations single to top both the pop and R&B charts since “My Girl,” five long years before. Although these Temptations featured 80 percent of that lineup – David Ruffin had been replaced by Dennis Edwards – the group had been handed off from Smokey Robinson’s smooth, straightforward approach to Norman Whitfield’s groundbreaking psychedelic arrangements. In other words, just because they had the same name and most of the same members, the Temptations of “My Girl” were long gone by the time “I Can’t Get Next To You” reigned at No. 1. One year after it’s mid-1969 release, Al Green transformed the song into a smoldering cry for love. Green eliminated the kaleidoscopic vocals and swirling arrangement, building the song around his voice and a slinky guitar line. The only element these versions hold in common is the lyrics. Green rode his arrangement to No. 11 on the R&B charts. “I Wish It Would Rain” had been out less than two weeks when songwriter Roger Penzaben took his life on New Year’s Eve, 1967. The heartache and melancholy Temptation David Ruffin poured into his singing was Penzaben’s story. In the spring of 1967, Penzaben caught his wife in an affair. Unable to cope with the pain and betrayal, Penzaben dumped his feelings into the lyrics. Producer Norman Whitfield and Barrett Strong, who had previously teamed on Tempts’ classics EX. The understated strings and arrangement bear the hallmarks of Motown’s classic Holland-Dozier-Holland productions. It’s hard to believe that in less than a year, Whitfield and the Temps would be on the vanguard of the psychedelic soul movement. It’s also hard to believe that “Rain” was Ruffin’s next-to-last single as a Temptation. Ruffin’s cocaine addiction and insistence that the group follow Smokey Robinson and Diana Ross’ leads and be renamed “David Ruffin and the Temptations led to his firing in the summer of 1968. When the Temps again cracked the pop Top 10 with “Cloud Nine,” both Ruffin and Whitfield’s traditional arrangements were long gone. Shortly before the Tempts debuted their psychedelic sound, Gladys Knight and the Pips took gave “Rain” an encore lap that reached Nos. 41 and 15 on the Pop and R&B charts, respectively. In 1973, Marvin Gaye recorded a funk version that was released as the b-side of his No. 1 hit “Let’s Get It On.” That same year, British slopsters The Faces had a U.K. hit with their interpretation. Aretha Franklin and hair metal band Little Caesar have also recorded versions of this miserable masterpiece. Note: This post is the beginning of a new running feature on The Daily Record. In anticipation of the 50th anniversary of Motown, we’ll be walking through the “Motown: Hitsville U.S.A. (1959-1971)” box set track by track. 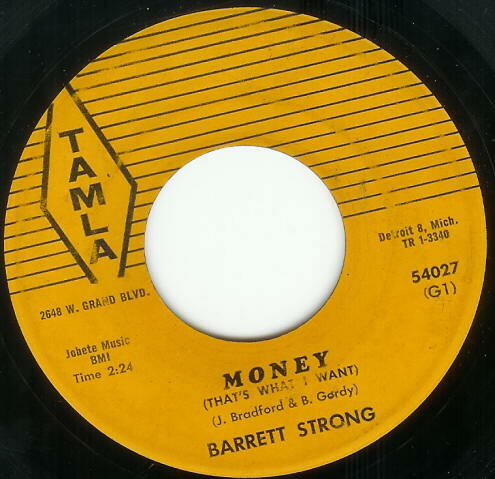 Barrett Strong may not have wanted to be a lead singer, but Motown founder Barry Gordy definitely wanted money. Strong’s sister went to school with Jackie Wilson, whom Gordy had written some songs for in the early ‘50s. Gordy’s song “Lonesome Teardrops” was a big hit for Wilson, but when Gordy realized the real money in the music game was producing and publishing, he started his own label.